If you’re in Europe, traveling to Europe or looking for some small, cool, vibrant and energetic yoga gatherings, look no further. Here’s the ultimate list for all your Yoga, Dance, Fun, Soul and Spirit Connection summertime needs! There are always high profile yogis teaching and you can enjoy high quality yoga classes during all the Conference. From pros to beginners, the ambient is really of sharing and caring for each other, having a good time and whether you can hold a handstand or not, you’ re guaranteed to have a good time! Move Copenhagen is for everyone who wants to move, play, explore and inspire. Not just a yoga festival, this event will explore diversity of movement in all its forms. If you’re looking into exploring new ways of motion, this is the place! YogaFest Amsterdam is an opportunity to explore yoga traditions and innovations while relaxing in the beautiful natural surroundings and visit the cultural scene of the city. The event will be held at Westergasfabriek, a wonderful 14-hectare city park with independent shops, galleries, trendy restaurants and cafes. 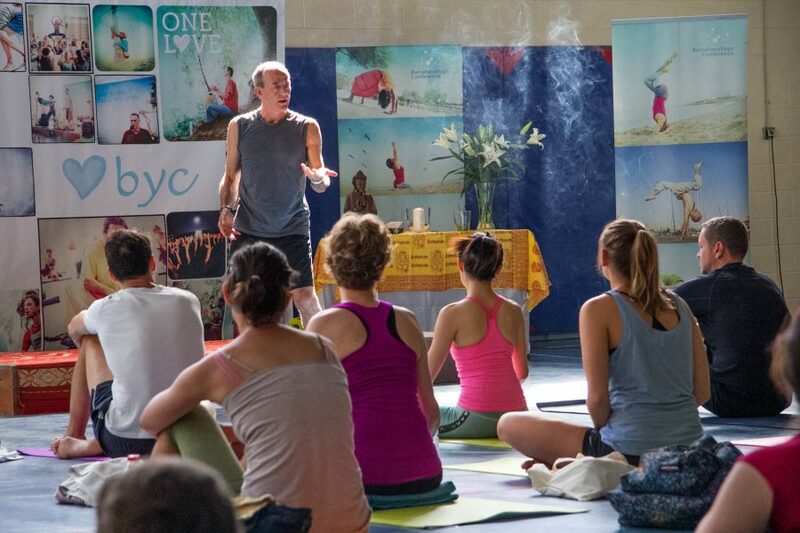 With a rich line up of both dutch and international yoga professionals, you’ll find many styles and teachings to suit your needs for movement and contemplation. Groovin’ in the big city. Yoga. Movement. Music. Community. With Chris Chavez, MacKenzie Miller, Frank Schuler, Liz Huntly, Roland Jensch, Annika Isterling, Nadine Maslonka, Fabienne Yogienne, Ralph Buse, Ocama. For everyBODY. An inspirational and invigorating event that will fill your Soul and Spirit. A beautiful journey into the heart through music, dance, yoga & community. The festival is divided in 3 gatherings, each one with a common theme and each week will present more sessions related to the theme of Move.Listen.Be, respectively. Be will share more meditation & non-verbal workshops. These magical gatherings will take place on the magical island of Corfu, nesting under shady olive trees and offering breathtaking views of mountain and sea. Surrounded by nature and all the elements, it will provide a cozy and sacred space for us to celebrate together. Choose you week or go for the full thing if you’re ready to dive into the Spirit realm! Although not a yoga festival, seeing the sunrise on the summer solstice at Stonhenge is to us a special spiritual event strongly associated with the Earth and you will feel a strong connection with the land, spirit and sunrise. Is there a better place and time to salute the sun than on the longest and first day of Summer in this mystical place? The rising solstice sun aligns perfectly with the circular stones. Expect nature gods, rituals and fire dances well into the night. And as Shakespeare’s ‘A Midsummer Nights Dream’ showcases, it’s a time of revelery, festivities, shenanigans, and ultimately, fun. A wonderful community with a friendly and loving chilled vibe but a packed schedule with lots of amazing classes to choose from. This year don’t miss the powerful and expert teachings of Stewart Gilchrist, Ambra Vallo and Tony Riddle. 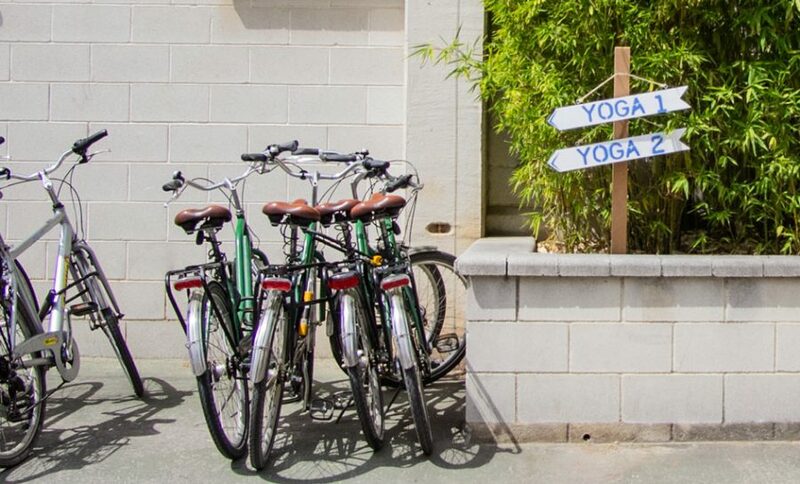 There is something for everyone, from strong dynamic vinyasa classes to Yin Yoga, meditation, gong baths, hot tubs and spa & massage facilities, so you can put your feet up and wind down. Th festival is held in a beautiful Farm, blessed with fantastic views, varied landscape and open spaces. A truly unique gathering with fantastic teachers and musicians from all over the world. “When we gather together to sing, dance, pray and remember our connection to life and one another, we are touched by the simple act of love moving through sound. “ Tina Malia, performing at the event this coming August. It is really the perfect description of what happens at this event, where soulful music meets heart opening yoga practices. Located in a wonderful resort in Pravets, Bulgaria, you’ll be sure to enjoy the landscape of mountains and the serene lake from the comfort of your room. From the massive main stage to mountaintops – from intimate workshops to nightly concerts. Your yoga environments will be aesthetically diverse and sonically sensuous. A great occasion to practice with numerous yoga legends from all over the world in a small and lovely Alpine town east of Innsbruck, in the western Austrian province of Tyrol. Upscale shops and cafes line the streets of its medieval center. The festival will host teachers like Cameron Shayne, Jang-Ho Kim, Matt Giordano, Percy Johannsen, Christine May, Krishnataki, Christiane Wolff, Darren Austin Hall, Kaija Marx, Dieter Niedermair and Tania Wimmer. This year´s highlight will be SUP-Yoga with Percy Johannsen on the Schwarzsee Lake, surrounded by the spectacular Kaiser Mountains. For early risers, the “Sunrise Meditation” is recommended in the early morning hours on the mountain. A stay in the SPA area of ​​the A-ROSA Kitzbuehel also will infuse your body and spirit with deep relaxation. A Natural environment to practice 8 days of Kundalini Yoga and other activities related to the teachings of Yogi Bhajan, including 3 days of White Tantric Yoga®. Here you will enjoy a special diet, many inspiring workshops by international teachers, and lots of song, dance and fun. Not to be missed if you’re a kundalini lover! WHERE: Mur de Sologne, France. 11 Movies for the Christmas Holidays	New Moon in Leo and Solar Eclipse (August 21st 2017) Find the meaning for your sign!